Welcome to Cloverdale Road in Rising Fawn, Georgia!! 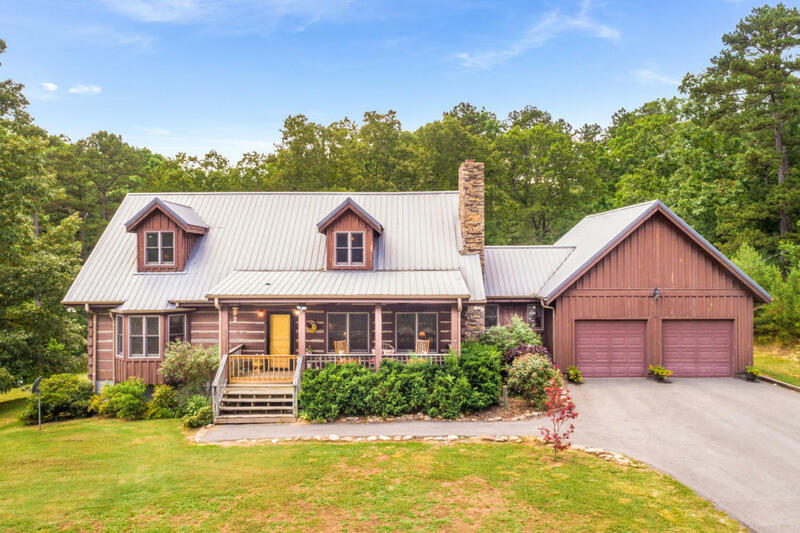 5 Bedroom, 3.5 Bath Custom-Log Home hidden away on 21.9 acres of land. Gorgeous wooden beams through-out, granite counter tops and stainless steel appliances in the kitchen with tons of cabinet space for the chef. Beautiful wood-burning fireplace with stonework in the large living room area and step right in to the large master bedroom that has a large master bath with separate shower, jetted tub. double-vanity and a fabulous walk-in closet with custom shelving. There is a huge bonus area over the double garage and lots of extra closets through-out. Enjoy those hot summer days in the above ground pool or just relax on your choice of front or back porch area! This home is a must see!! Call today! !